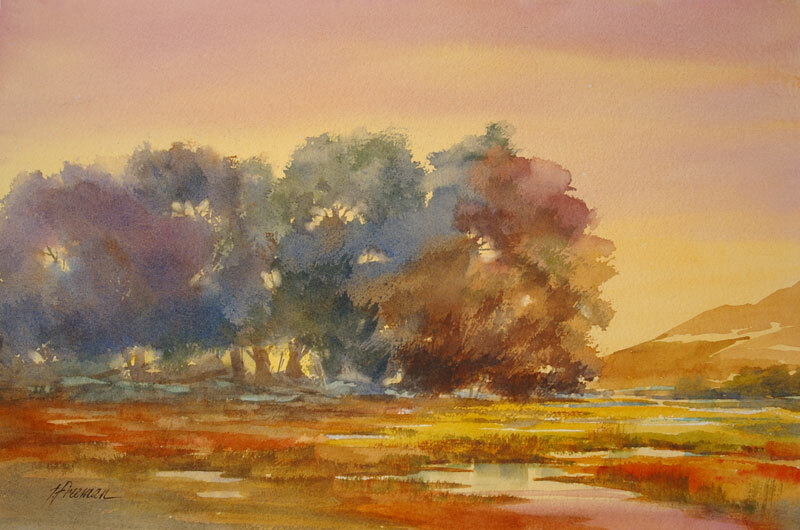 Thomas Freeman Original Watercolor Painting: "Minnesota Marshland"
This watercolor was inspired by the many lakes and marshes in Minnesota. An experiment in tree color other than green. The painting needed balance on the right so I added hills – few such exist in the state.